Blogging is a fun related platform that pays you wild money. Before monetizing your blog, make sure that your blog has a decent number of visitors per day and having quite a PR value. PR value is based on the popularity of your blog among the search engines and the spontaneity of the post. Now, What is Backlinking?. 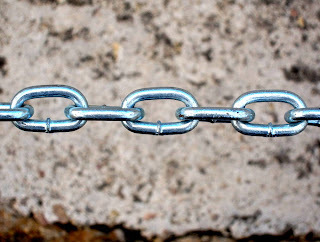 Backlinking is a SEO technique that provides traffic to your blog all the time. For those who do not know what's backlinking, its not much of a technical term that you fear of reading, its a process of linking back to your own blog or its posts through social media and communities etc.,. When you link your posts or your blog in anywhere around the internet, you'll get more traffic to your blog stated them as referral sites. You could check it through your Google Analytics. In this post, I am going to share you with some 6 easy ways to create backlinks to your blog that will help you increase traffic. It is always necessary for a blog to be successful, it has to reach many readers. And Guest Blogging is one way to provide it. Search for famous blogs on your niche. I'm sure you'll get many blogs as well. Choose any and request for a guest post. By publishing a guest post on a popular blog will get you a backlink to your blog and also you can backlink 2-3 posts to your blog anywhere. Moreover, its just not only a backlink, its your identification as a blogger professional. It is easy and do-able. But mostly when a person search for something in google and reach a page, he's not likely to comment unless having any doubts regarding the subject. So, when you comment on any blog, automatically when you enter your website's name, it becomes a backlink. The speciality of the comments is that when a person is reading a review on their niche, they mostly focus on the comments section at last and there is a possiblity of getting clicked on your blog link as such they find any amusing comments and reply. The blog owner will also have a chance to read your blog, when you leave a comment on their post. This is kind of a mutual benefit to readers and bloggers. Make sure you comment on the blogs that belongs to your niche. Because it will help you get readers on your community. So far I have found, community websites like Reddit, Digg, Bloggers, StumbleUpon etc., add more traffic to your blog. Interact with the co-bloggers in the community and share your ideas along with backlinking your post url. If you do not have one till now, then its the time to create an account in the community websites and share your ideas via your blog posts. 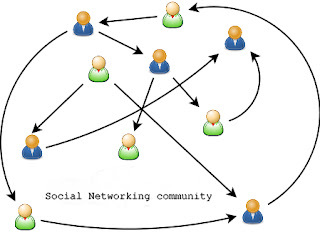 The community includes the social media sites like Twitter, Facebook, LinkedIn etc., too. Once you interact with the people in your niche area, you might get ideas on developing your skill sets too. Any site where you can able to share your posts via backlinking is said to be referral. I assume that you have your social media profiles where you find yourself social to others. Link the blog url to your social profiles and stay updated. If you are managing business pages on facebook, it is to be noted that always be active on it even though you are posting an old post. Also keep in mind that don't spam sharing the same post all the time. Twitter is a best place to start your link sharing as it is a vital micro-blogging service all over the world. This is an easy way and you don't need anyone's permission to do it. You can link as much as you want to but make sure your readers don't take that as a spam. You may link as many posts, but when someone visits to your blog and would think of you as a spammer. Link to posts that are related to and don't link all the way you can. There are thousands of link directories out there to backlink your posts as similar to RSS Directories. 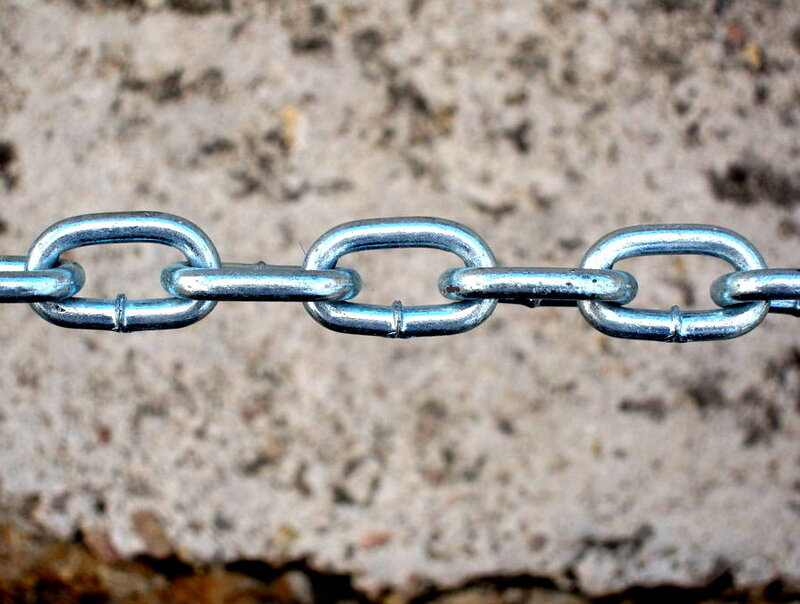 Some of the link directories are even payable to backlink your blog posts. These are of great SEO Value to your blog. There are also many forums where people asks questions, share their ideas. You can also log in to the forums and backlink your posts to the solution. The SEO traffic to your blog mainly comes through backlinks. Backlinks can be of great use to your blog's traffic. To check whether you have really got any traffic through backlinks, check to your google analytics account and see to number of "Referrals" that bring traffic to your blog. Now, Please share your other ideas to produce backlinks to your blog through the comments so that it might help us all. 3, then you can do backlinks to the result websites. Building buffer pages on free blogs and Web 2.0 sites. You can take versions of your spun article and quickly create posts on free blogs like Blogger etc. I think so, there are some site that weren't using this method at first but when start using, the result is improving. Good Blog, Nice Tips, Thanks! Thank you Ujjwal.. I'm glad you liked my blog. Thanks alot for the guide. Your blog has really been helping me. Thanks for the awesom tips. Your blog has been of a great help. Thanks again. Backlinking is a seo techinique that provides traffic to your website.its very helpful to promote the site and business. which one is the best and effective one from all........??????????? Really great article mate! Thanks a lot for sharing these tips to create backlinks. Back link of any blog is very important for your blog promotion. The above information is informative for those people who love to write and want to promote them as well. I love to write on different website design companies and their services. This blog is pure informative for me. Im a beginner! Is this how backlinks get added? lyrics dekho <- this is my website!! Nice post dear but really backlinks works for SEO.. I am a beginner!Thnks for sharing http://techyhunt.com <- this is my website!! Really want to create backlinks or earn positioning!? Well ... do not be fooled by any kind of malicious software or who knows what rare strategies. Forget about trying to get this challenge through any means not worth ... the only official website and totally legal to do this is this; http://linxgo.com/6fh20 Try it and you will understand the difference and the trouble which you could have gotten by without more and search positioning. Besides creating legal backlinks, you can view and manage each backlink, page by page. wow this is great article for creating backlink thanks for sharing. Nice article admin ! thanks for the tutorial. I am going to use these tricks on my mobile movies site. Really informative post. Thanks for the writing.